Suzannah Jones is a mixed media artist originally from Wingham who found herself in Whyalla in South Australia for eight years. During this time, Suzannah recognised a need to change a personal direction so she physically packed up her gear and art materials into her purple tear drop mini caravan, and ventured into the Australian outback and coastal landscape alone. Here she experienced a connection to this difficult but beautiful landscape and this connection still exists today while she lives at Port Stephens. A chance sighting of a magazine image that showed piles of dead birds further focussed her attention towards the ecology, the environment and issues such as climate change. This prompted her to consider how we engage with the ecology of our regions. 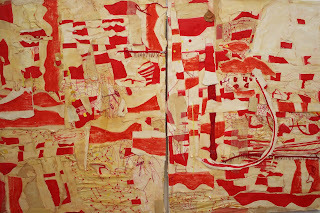 The work in this exhibition comes out of the experience of the landscape, how we live within the landscape and connections to her own domestic life merged into a new vision. This is a strong exhibition that benefits from close observation. 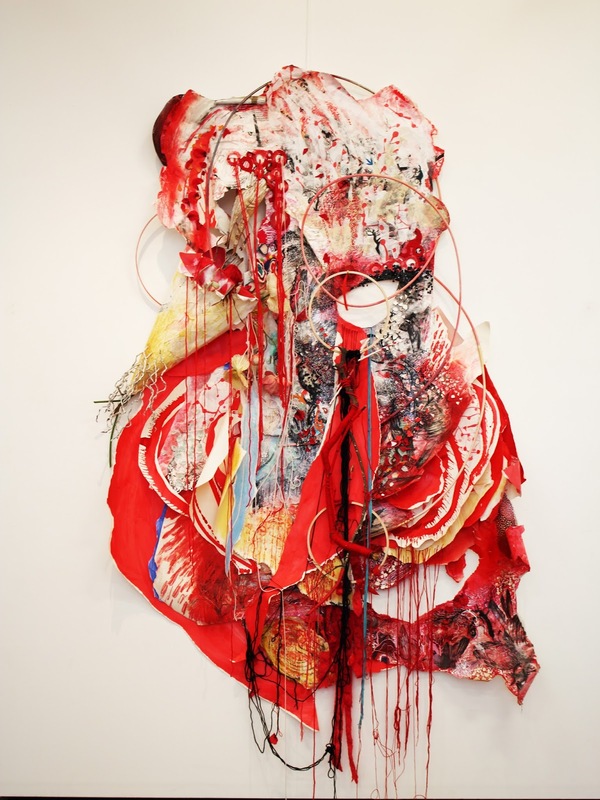 The colourful works contain an intense amount of media, torn up drawings (Suzannah’s and her children’s), artefacts and objects from her own childhood, and materials sourced from family members complete with sentimental attachments. These are all forged together beneath and between layers, building until they pour onto the outer surface. 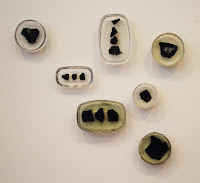 With her works focussing on coal, one of my favourites is a tray of ‘toffee-like’ objects made from coal buried into resin. Suzannah talked about these being... “Souvenirs that are now contained and no longer going back into the earth’. The titles given to the works speak of Suzannah’s passion about art and the environment and her own personal humour. As a young child, Kate Burton learnt to read from a book by CW Caley, “What Bird Is That”? 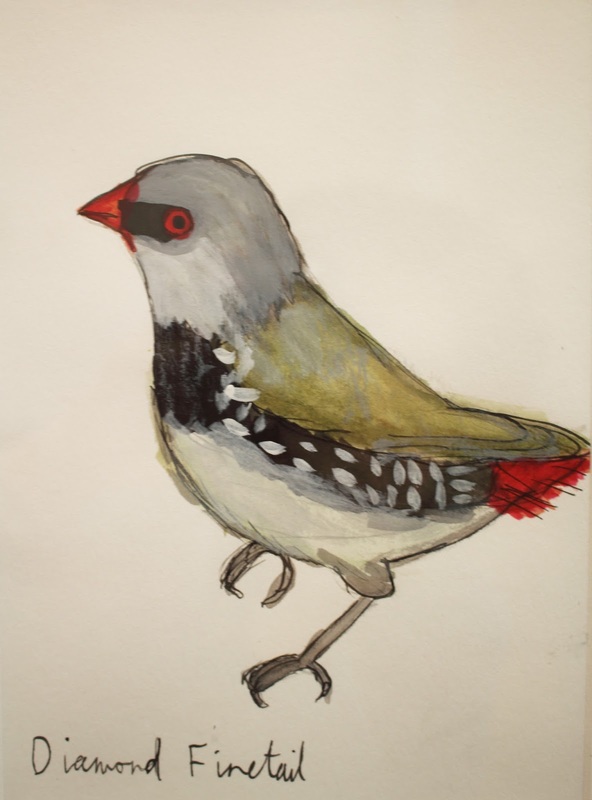 Kate has continued to have a fascination with the world of birds and is showing a number of drawings from her ever increasing collection in the Gallery. 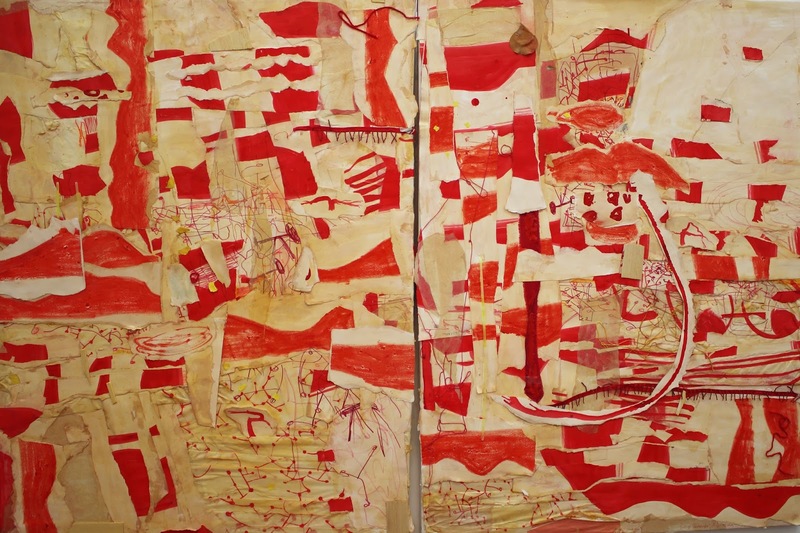 Kate has a Bachelor of Fine Art from the University of Newcastle and acknowledges the influence of Brett Whitely, Sidney Nolan and Albert Tucker. 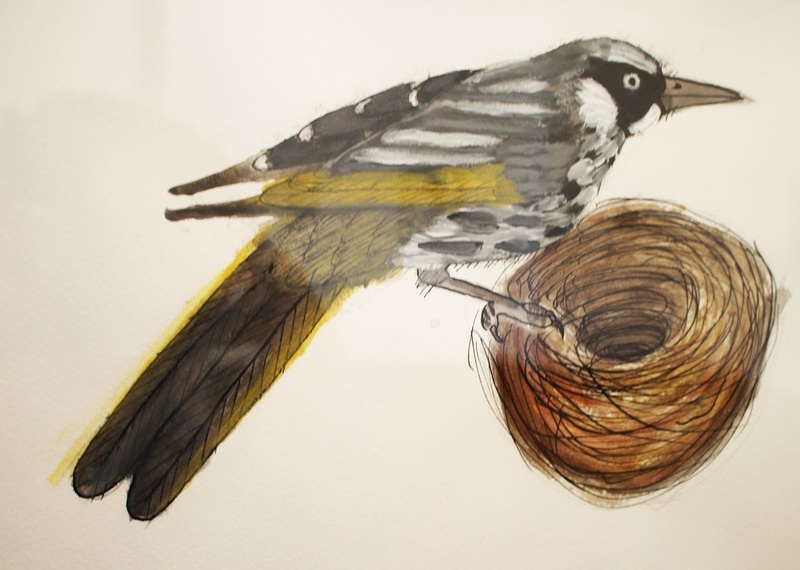 Kate held her first Melbourne solo exhibition at Brunswick Street Gallery recently and has exhibited at Watt Space in solo and group shows. 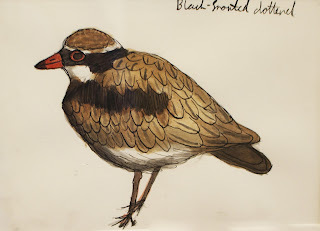 Kate told me there are 705 species of Australian birds and that she is working towards drawing the entire bird population. 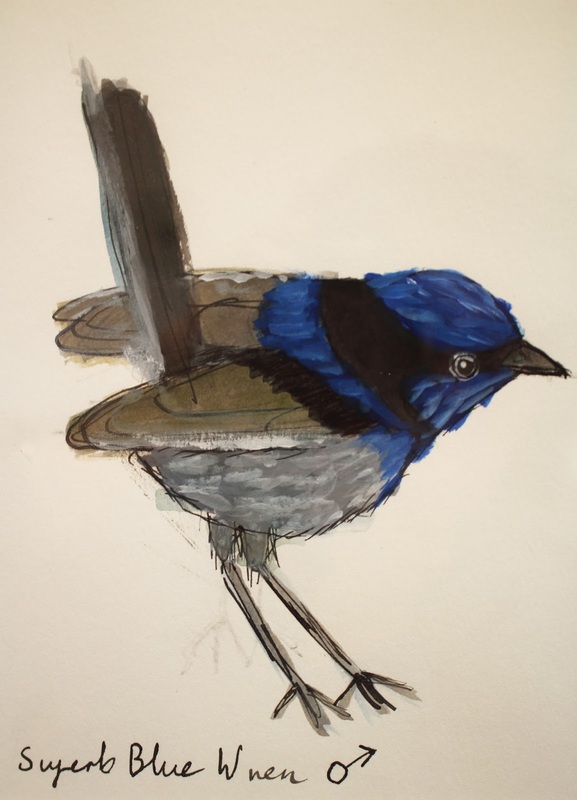 Kate is also planning to explore other mediums and illustrate other Australian species from the animal and the insect world. Kate’s bird illustrations are delightful to experience.